Wash and cut the tomato into small pieces and keep it aside. 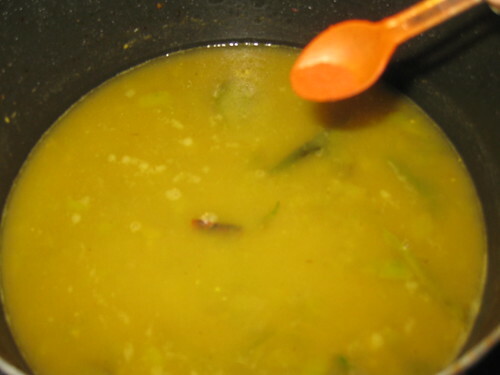 Take toor dal into a bowl wash it and add water to the dal place this bowl in a pressure cooker and cook it for 5 whistles.When its cool down smash dal keep it aside. Now heat a pan and add oil to it. 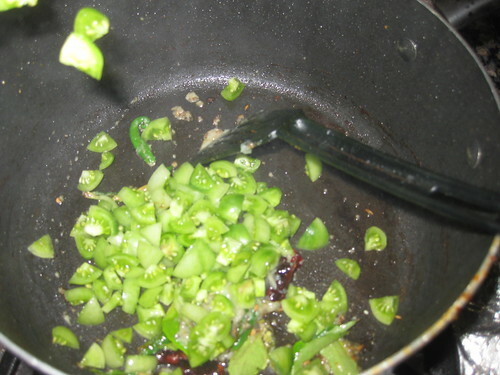 When the oil is hot add cumin seeds,mustard seeds. 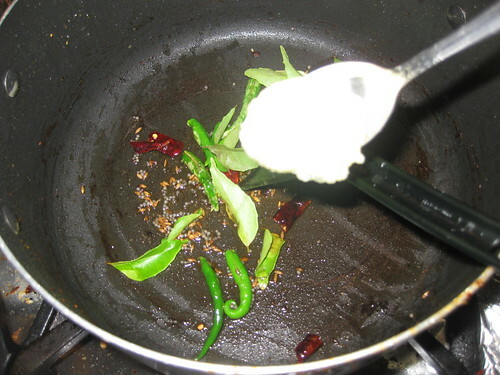 Fry till the seeds splutter.Add green chillies,red chillies,hing fry it.Now add the curry leaves,ginger garlic paste fry for a minutes. 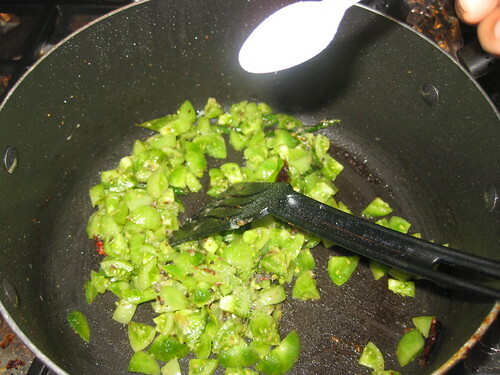 Then add chopped green tomatoes and turmeric powder,salt to it,mix well.Cover the lid cook until the tomatoes pieces is tender. 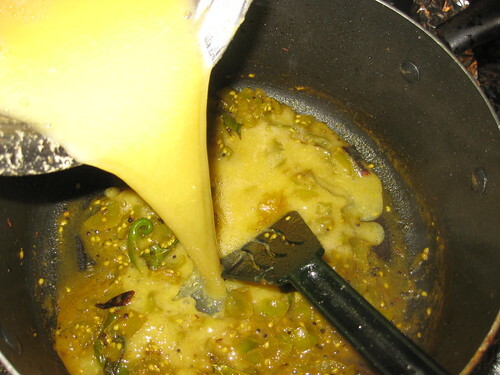 Now add the cooked dal , salt , chilli powder and if required add some water to it and mix well. 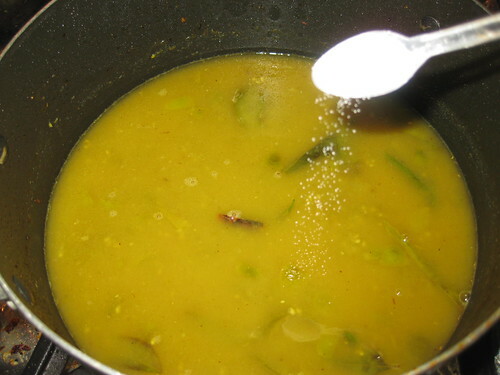 Bring the dal to a boil for 5 to 8 minutes.Add the coriander leaves. Tangy and yum,perfect with rice..
Good variation of Tomato Pappu. Loved it. 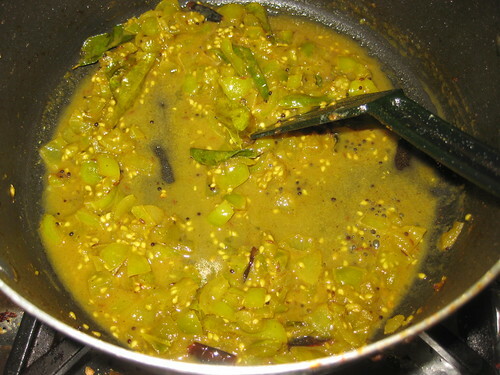 I cook rarely with green tomatoes,dal looks comforting. 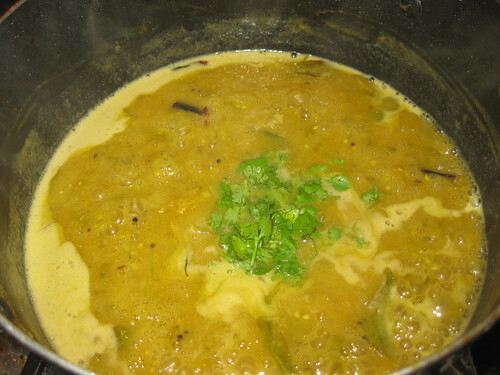 Delicious and healthy Dal. I make this combo sometime. 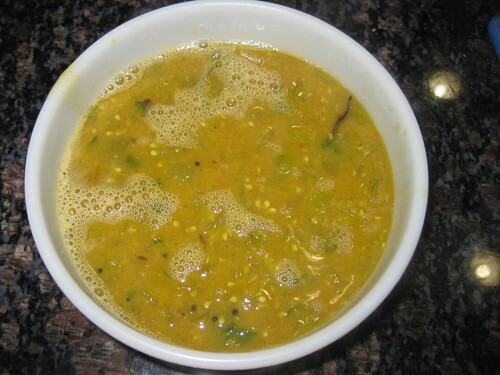 I always cook dal with red tomatoes, this is a good variation. 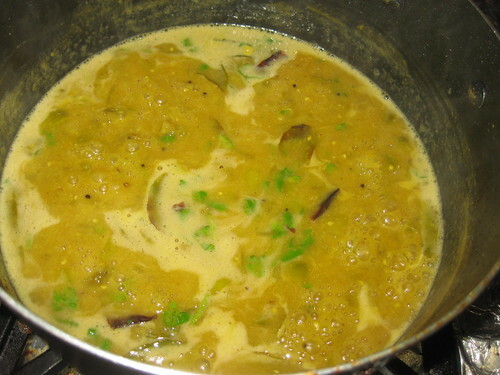 Wud luv to have it with rice and pure ghee.yummy. Wow...love this curry. Looks tangy and yummy! first time here.really healthy one.happy to follow you.will u support me? love to eat this with hot rice. 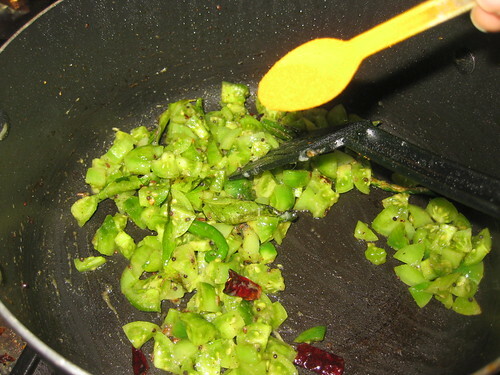 Never used green tomatoes in dal.. seems interesting..
Yummy dal to go with rice.. Your tutorial is great so does this wonderful dish!